Clean, comfortable, friendly, nice outside, good location. Would stay again and would recommend. The space for our family in Apartment 8 and the amenities for the children! Great pool and kids playground. Gardens are beautiful. House well equipped. Lovely little apartment. Very clean and comfortable. Grounds were very well kept and great for children with lots of animals. Flowers and plants were beautiful. Beautiful gardens, free range chickens, well kept clean and warmes pool, all facilities there and kind hardworking hosts. It feels intimatw whilst providing sufficient privacy. What a lovely place! Overall impression was excellent! Corrine and Natasha helped in everything needed plus the landscape and surroundings were of good value. We even did a nice BBQ ( there are three available) and our grandson (3 years old) was delighted with the pool and running the chicken away from his feet. Plenty of attractions for kids. Very easy to socialize with anyone around. And the fresh eggs at the door every morning are a must! 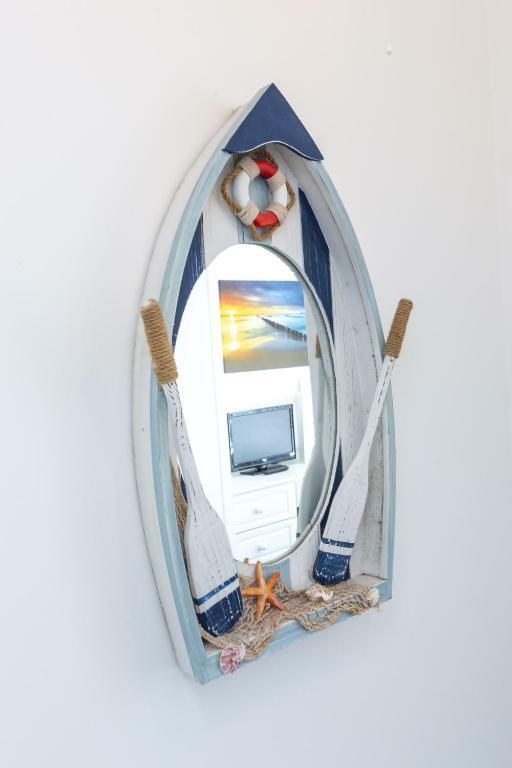 spacious comfortable apartment in a good location.Good views of sea .Well tended gardens with a lovely swimming pool.The apartment had a large outside terrace .Hosts very helpful. Lock in a great price for Beau Vallon Holiday Apartments – rated 9 by recent guests! Located in St Pierre du Bois, Beau Vallon Holiday Apartments has accommodations with free WiFi and access to a garden. All units feature a flat-screen TV, a private bathroom and a fully equipped kitchen. An oven, a microwave and toaster are also featured, as well as a coffee machine and an electric tea pot. A grill and a sun terrace are offered at Beau Vallon Holiday Apartments. Guernsey Airport is 2.9 miles from the property. This property also has one of the top-rated locations in St Pierre du Bois! Guests are happier about it compared to other properties in the area. This property is also rated for the best value in St Pierre du Bois! Guests are getting more for their money when compared to other properties in this city. When would you like to stay at Beau Vallon Holiday Apartments? This split-level apartment features 1 bedroom with a king-size bed and 2 twin rooms. All rooms include private bathrooms. It has a balcony with pool views. 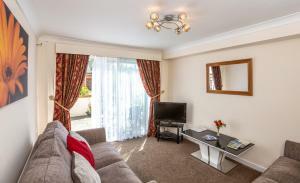 This apartment features 1 double bedroom with an private bathroom. It includes a lounge/dining area and a kitchen. This property features a garden with a hot tub. It includes a lounge/dining area and a kitchen. There is 1 bedroom and 1 bathroom. This apartment features a lounge/dining area and a fully equipped kitchen. It has 1 double bedroom with a king-size bed and 1 bedroom with bunk beds. There is 1 twin room with an en suite shower room and a terrace. There is an additional separate bathroom. Please note, this apartment is located on the ground floor. 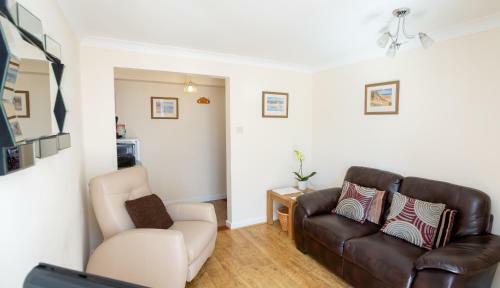 This holiday home has a sofa, sea view and oven. This holiday home features a kitchenware, microwave and private entrance. This holiday home has a garden view, kitchen and stovetop. This apartment features a balcony with sea views. It includes a lounge/dining area and a fully equipped kitchen. There is 1 double bedroom with a king-size bed and an private bathroom. Another double bedroom, 2 twin bedrooms and an additional bathroom are also available. Please note, this apartment is located on the 1st floor. 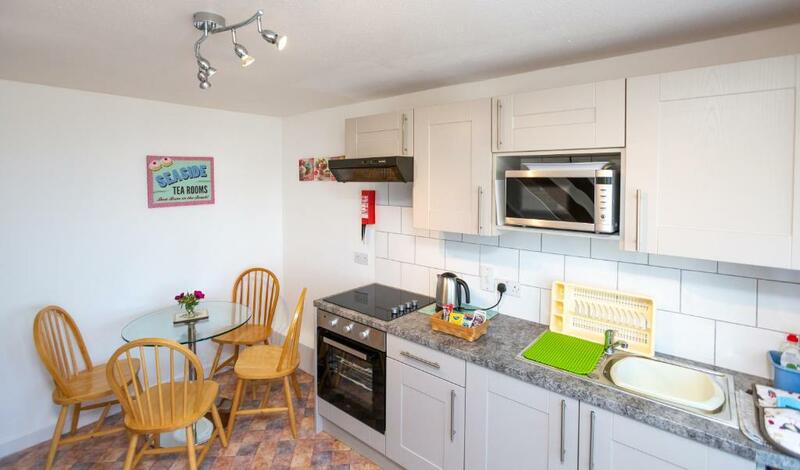 This holiday home features a microwave, toaster and electric kettle. House Rules Beau Vallon Holiday Apartments takes special requests – add in the next step! Beau Vallon Holiday Apartments accepts these cards and reserves the right to temporarily hold an amount prior to arrival. Please inform Beau Vallon Holiday Apartments of your expected arrival time in advance. You can use the Special Requests box when booking, or contact the property directly using the contact details in your confirmation. Very minor, but no cafetiere. Checking out the septic tank was getting emptied not a nice smell. The room was great loads of space. Needed net curtain in lounge as people passing very close by could look in so needed to pull curtains during the day . Very expensive for what it was. One of the radiators did not work and the showers weren't great. Shower temperature- option for warmer water temperature in the cold season will be great. Hostesses, Ease of checking in and facilities. Bathroom was a little compact but functional. The only bath in the property was hard to get in and out of ,to have a shower in the bath was quite hard as the bottom of the bath uneven with a small gulley so you could not stand properly .